1 x 1PC Visio 2010 Professional Digital Product License Key with installation media. Visio 2010 Standard / Professional takes visual diagramming to a brand new level with dynamic, data-driven visualization tools and templates,as well as, advanced online sharing. Visio allows you to bring together the big-picture and real-time data from multiple sourcesinto one one powerful diagramming software. You can real-time changes to data right within your diagram, as well as, visually displayed through vibrant graphics for ease of use. 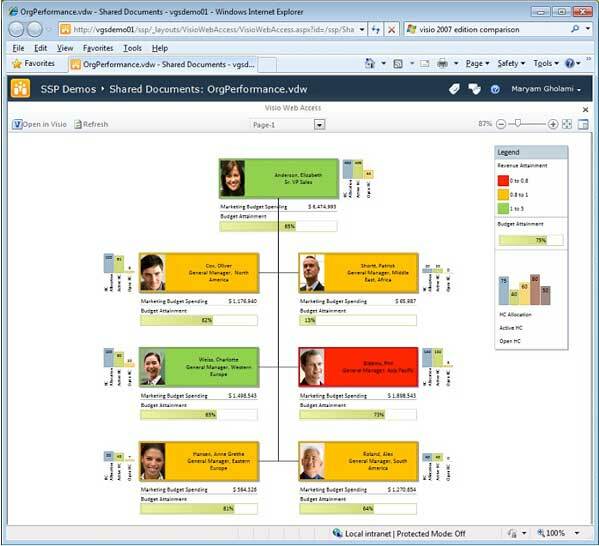 Easily define and simplify business or IT systems with intuitive, professional-looking visual diagrams with Visio 2010. A picture paints a thousand words and With Microsoft Visio 2010, you can quickly illustrate complex visual ideas with professional-looking templates and modern shapes. Whether it's an organisational chart, floor plan's, business processes, or layout diagram's - the latest tools within Visio now help you create vibrant diagrams to get everyone on the same page. Gaining an accurate and relevant view of your business usually requires both a high-level perspective and lots of detailed data. 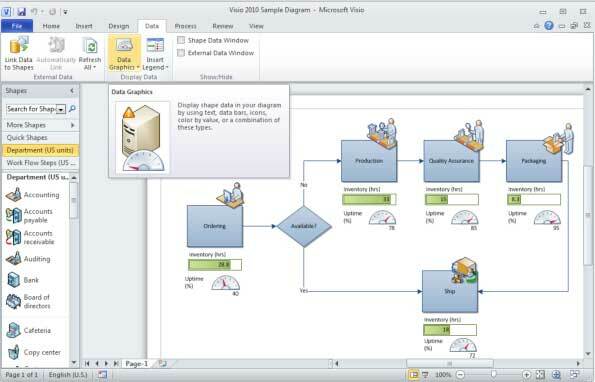 With Visio 2010, you can easily place real-time data right onto the shapes of your diagram to visually interpret your data. Vibrant icons, symbols, colors, bar graphs and others providea clear view of the real-time information whichmatters to your business. Create simple diagrams in your favorite browser with Visio Online. View, edit, and collaborate Visio diagrams directly inside your Teams to coordinate on all your team’s files in one single place. Gaining a clear and complete view of information which matters to any business requires a high-level perspective and detailed data analysis. With just a few clicks, you can NOW see the entire picture by showing meaningful information and data graphically in a single, always up-to-date diagram showing all your info there and now. 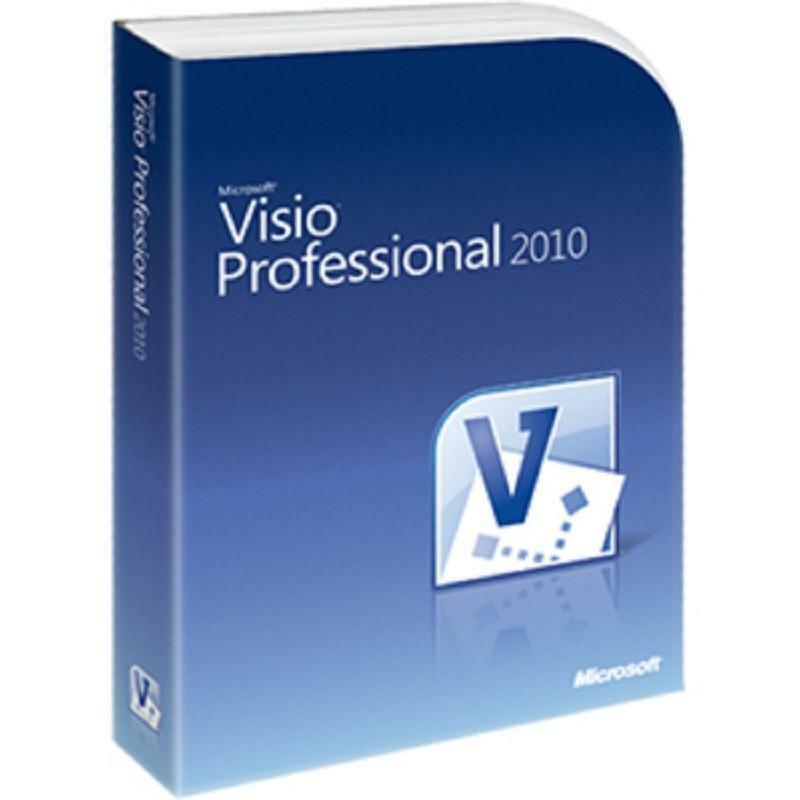 Visio 2010 is available in two editions. Standard and Professional. 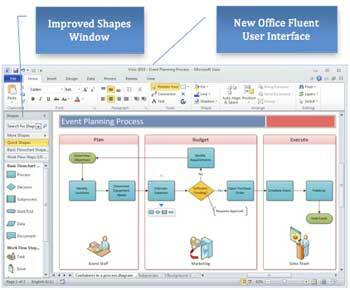 Visio Standard 2010 brings a brand new look with the incorporation of the Office Fluent Graphical User Interfaceas well as the redesigned Shapes Window. New features include Quick Shapes, Auto Align & Space, easy insertion / deletion of shapes allows maintaining diagrams easier than ever. Furthermore, With the new containers and callouts features, it’s very easy to organize diagrams and visually make them look great. Lastly, the all new improved cross-functional flowcharting template included in Visio Standard 2010 is designed to be simple, scalable, and reliable for ease of use. 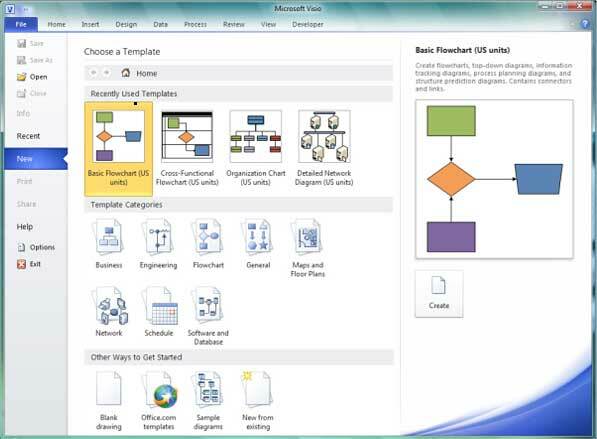 Visio Professional 2010 provides all the exciting features above as well as new great diagramming features by allowing you to connect your diagrams to data and to publish them to Visio Services. The Professional edition also includes advanced diagram templates include Detailed Network, Engineering, Wireframe, and Software and Database diagrams and Templates and much much more.